Defective Penguin Games takes a look at the uses of VR in film and asks if the industry is ready to embrace this new medium. A year ago today saw the release of The Revenant director Alejandro G Iñárritu’s haunting VR film Carne y Arena. 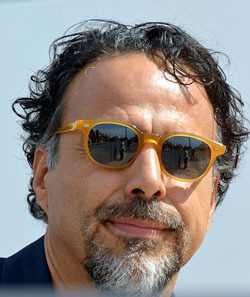 The film earned the director an Oscar for what the academy called a “visionary and powerful experience in storytelling”. The film follows the plight of Latin American migrants detained and questioned by police at the U.S. border. It’s the first time the academy have awarded a special Oscar since Toy Story in 1996. Iñárritu was not the only A-list director to be venturing in to virtual waters last April either. Renowned film maker Ridley Scott released “The Martian VR Experience” to co-inside with the release of the Matt Damon blockbuster. This was followed by another offering from RSA films “ALIEN: COVENANT IN UTERO”. With such high praise now garnered from the industry and esteemed directors championing VR in film, has the industry embraced virtual reality as a medium in which to tell its stories? There are definitely signs that the television and film industries are interested in the medium. Some studios are even going as far as funding research and developing ideas for VR. In January this year, director Darren Aronofskys Protozoa Pictures signed a seven-figure deal for a new three-part VR series called Spheres, an interactive VR documentary about the exploration of space. While something as epic as space exploration of course lends itself well to the medium of VR and almost certainly contains that “wow” factor, are there more “everyday” uses for VR? The New York Times has started to include 360 video on their website making it a mainstay of their editorial with the “Daily 360”. The BBC has an entire development team working on ways to create more immersive experiences for audiences. Sky are also adding VR to their arsenal and have reportedly invested in state of the art cameras in order to capture everything from red carpet to sporting events. “VR content if done well is really powerful. It can make you quake with fear, it can make you laugh with joy and it can make you cry.” said Zillah Watson, BBC commissioning editor for virtual reality said in a 2017 interview. Another potentially interesting use of VR in film and television comes from director Kevin Smith. Smith is currently working on a VR mini series based on cult characters Jay and Silent Bob. 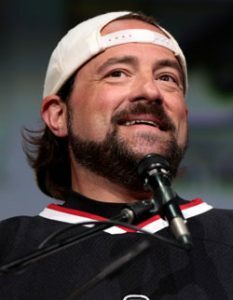 The experience will supposedly place the viewer in the role of Silent Bob, an obvious and excellent choice as the character is, well, silent. As Silent Bob you the viewer are cast in to the world with your hetero life mate Jay where you become a victim of his constant folly. Furthermore STX Entertainment, the production company behind Smiths adventures in VR are also set to release a slew of other titles. These include “Limit” from director Robert Rodriguez and an action comedy starring Dave Bautista of Guardians of the Galaxy fame. STX slate of VR titles are expected to arrive over the summer. So, while we wait, let’s take a look at what’s on offer right now as well as in the near future. (A comprehensive list of the properties shown below as well as links to these and other VR experiences can be found here). VR in film – Promotional Tie in’s. This is nothing new in terms of marketing for films, ever since Star Wars opened to audiences in 1977 the idea of tie in’s wether it be through merchandise or somewhat cringeworthy holiday specials has been at the forefront of every marketing executives mind. With VR though directors are able to offer something a little different. To glimpse in to an alien world previously would be limited to posters, books and magazines. Studios now offer immersive experiences where you can sit on the surface of Mars or fly over the city of Azeroth. Alien Covenant – Movie tie in experience fro RSA Films Link. World of warcraft – Soar over the city of Azeroth in this 360 video from Legendary Pictures. Spiderman Homecoming – Be Spiderman in this short promotional experience from Marvel. Belko VR – Really great escape room tie in. Tomb Raider VR- Lara’s Escape – Experience the thrills and spills of Tomb Raider as you become Lara Croft. Disney Movies VR – Various environments are yours to enjoy while watching trailers. Starwars – Trials on Tattooine – ILM Xlab presents this short experience where you get to fix the Falcon, deflect laser bolts with a light sabre and hang out with everybody’s favourite astromech Artoo. Invasion – Two episodes of this fun cartoon from baobab studios are now available. Allumette – A touching animated short about love and loss. Pearl – The story of a car and the family that owned it. In Song. In VR. It’s great. VR offers a ( virtual) world of possibilities for documentary film makers. Allowing the viewer to not only immerse themselves in but also to interact with the world around them. The front row is no longer near enough! put yourself in the middle of the action wether that be hanging out with your foul mouthed stoner buddy or fighting criminals with Michelle Rodriguez. The use of VR in news reports will help journalists to truly convey the emotional impact of any situation. From war to politics, VR can create a sense of empathy in the viewer not possible in current reporting.